Depicted here on the left is an overprint stamp. These were used as an anti fraud protection to stop or hinder the pilfering of stamps. In the early days of adhesive postage stamps, it was common practice for the public to use them to pay small bills and the post office would even redeem them for cash over the counter. 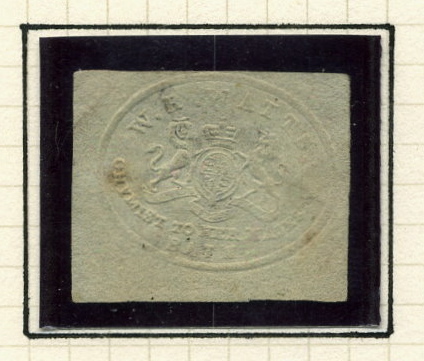 To deter their employees from pilfering stamps, some organisations printed their initials or name on the face of the stamps (overprinting) or on the back (underprinting). This method of protection is recognised as having begun in 1859 when the Oxford Union Society overprinted (and underprinted) 'O.U.S.' on 1d rose red stamps. 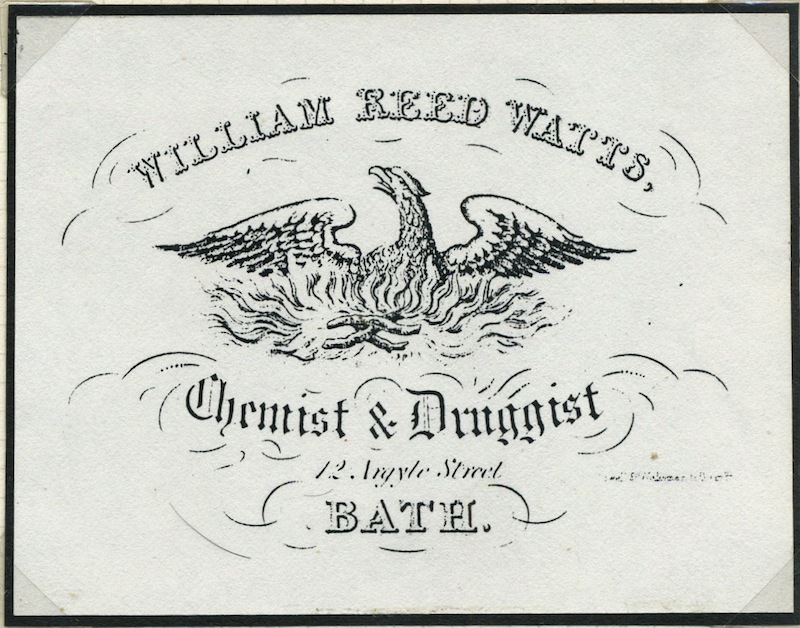 However, it appears that William Reed Watts, a chemist of Argyle Street Bath, recognised the threat as soon as the Penny Black appeared and he embossed both 1d blacks and the early 1d red-browns :- "W.R.Watts, chemist to her majesty, Bath" in an oval around a Royal Coat of Arms.